Here are a few illustrations I did for an essay about Professor John Mathieu, who is working with NASA on its Mission to Mars program, helping them with the sociology of teamwork and interpersonal relationships. Basically how do you help all these type A highly confident astronauts from different countries who’ve basically just met one another get along inside a tiny capsule and on a remote planet for three years?! 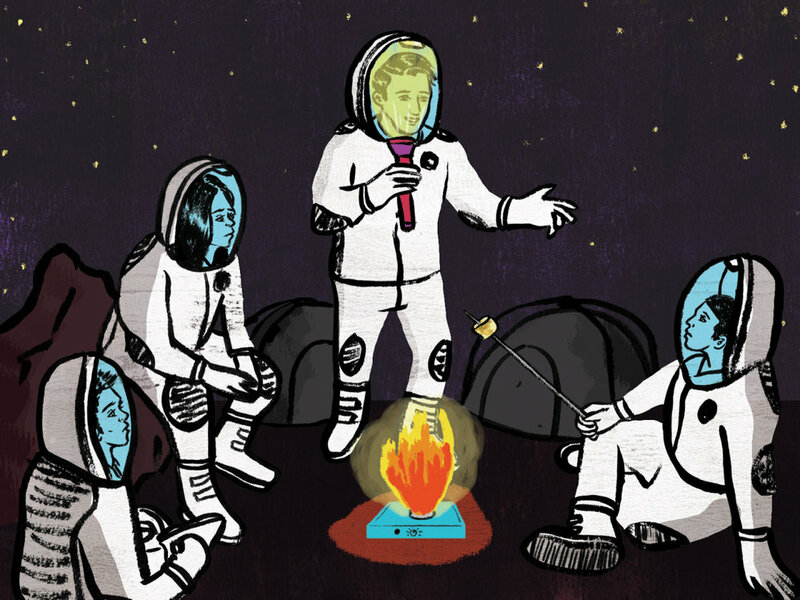 Astronauts as campers is a good metaphor I went with.